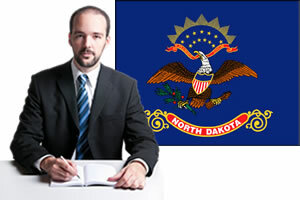 North Dakota personal injury laws can vary from other state’s laws. Talk to an injury lawyer if you have questions about whether or not you have a valid injury claim. Below are the most common personal injury laws in the state of North Dakota. The North Dakota statute of limitations for filing personal injury claims is 2 years. North Dakota’s medical malpractice statute of limitations is 2 years from the date of the injurious action or from the date of reasonable discovery of the injury. All medical malpractice claims must be filed within 6 years from the date of the action. Product liability claims must be filed 10 years from the date of purchase or 11 years from the date the product was made. These statutes for North Dakota claims are subject to change; contact a North Dakota injury attorney for definitive statutes at the time of your accident or injury. Car Accident Rules in North Dakota? North Dakota has adopted a no-fault system which means that drivers will not have to prove who was responsible for the accident to receive compensation. Instead, each driver’s insurance company will pay for their own driver’s medical costs and lost wages. Drivers in North Dakota are not allowed to sue the other driver for additional compensation after a car accident unless medical expenses exceed a specified monetary threshold. North Dakota is one of 12 states that uses the 50 percent bar rule. Under this system a claimant can only recover compensation for their injuries if they are less than 50 percent at fault for their injuries. Claimants who are 50% or more responsible for their losses will not receive compensation. Compensation will be reduced by each party’s degree of guilt. Are there Damage Caps in North Dakota Injury Law? North Dakota’s Noneconomic Damages Reform: HB 1050 (1995): N.D. Cent. Code. § 32-42-02 Limits the award of noneconomic damages in medical liability cases to $500,000, and awards of economic damages in excess of $250,000.00 are subject to review by the court. Product liability cases and pharmaceutical cases are capped at $300,000 on all damages.